On Royal Caribbean's Explorer of the Seas, we ran across a new event that is as unique as it is new. Beci Mahnken from MEI-Travel sent us this flyer for a special one-day event at Izumi on Explorer of the Seas. This event is being held on the ship's stop at Tracy Arm Fjord and is something we have never seen before. 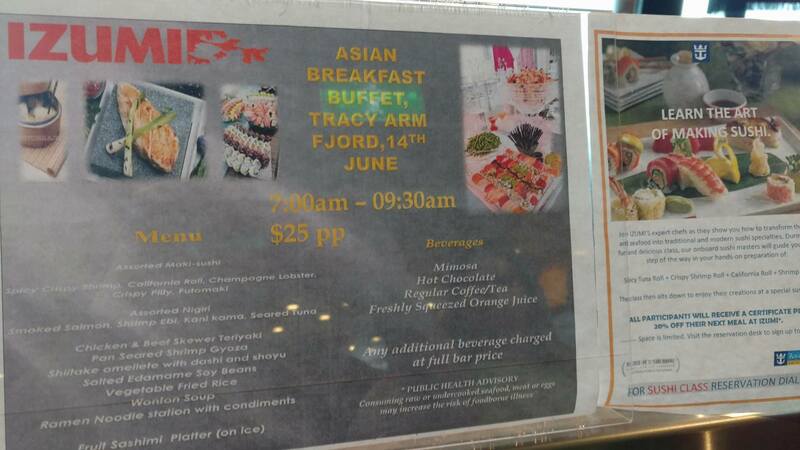 Would you be interested in an Asian breakfast buffet? Tell us in the comments!